Rodney Wright is a Financial Advisor with Raymond James Financial Services and an Investment Officer with Wilson Bank & Trust Investments. As a financial advisor he helps families and businesses understand and implement customized strategies to help meet their financial goals. Rodney’s ultimate goal is to create a course of action with his clients that strives to put them in a secure financial position from which to navigate the ever changing economic environment. Rodney graduated from Belmont University in 1998 with a bachelor’s degree in Business Administration. He began his career in the financial services industry in 2002 at FirstBank. 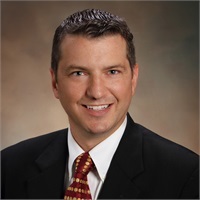 Obtaining his securities license in 2004, Rodney performed in various roles with FirstBank Investment Partners including compliance officer and heading up their life insurance division, while continuing to help his own clients. He brought this experience to Wilson Bank Investment Services in Fall of 2016. Rodney lives in Murfreesboro, TN where he grew up not far from the Wilson Bank & Trust branch on the corner of Memorial Boulevard and Osborne Lane. He enjoys spending time with his wife Leslie, son Mac, and daughter Zoey. They are all very active with North Boulevard Church of Christ, the Cub Scouts and local charities. Rodney also has a passion for music which he expresses by performing with local bands and as a board member & Co-Chair of judges for the Uncle Dave Macon Old Time and Bluegrass Music & Arts Festival.